One way people choose to make money in the business world is by investing funds. People invest their own money in hopes that it will return greater value later on. This takes a lot of skill and experience to master, but if you are someone who is business savvy and can weigh pros and cons in order to make smart investment decisions, it is worth your time and resources. If you are planning on looking into investing your money somewhere, take credible advice from one of the world’s business and financial experts. Here are Mark Cuban’s top rules to help you be more strategic with your financial investments this year. Especially if you are planning on investing for the very first time, it can be difficult to know which things are worth investing in and which things are not. Cuban advises investors to keep an eye out for people and organizations that are unwilling to innovate – and stay away from them. You never want to invest in someone or something that is not willing to take a unique approach to meeting a goal or solving a problem. What makes people and businesses successful is their willingness to consistently ask how they can do things better or more efficiently. Those are the entrepreneurs and companies you want to invest your money into if you are planning on investing in a business. When it comes to trends, always look for the things that stand out to you in the best way possible. Look for companies and causes that are doing things no one else seems to be doing. If you are going to invest, do not settle for anyone who believes doing the same old thing is going to make any kind of impact. Investing can quite literally be risky business, unless you know where you are going and how you plan on getting there. Sometimes success means taking a path less traveled, and in terms of investing, sometimes success means you have to take a chance on innovations that may or may not play out for the better. Your best bet, before investing, is to know exactly how the thing you are planning on investing in is going to help you in the long run. If you know the end goal, it will be much easier to agree to something quickly without making spontaneous and reckless business decisions. Always be prepared for opportunities that might come your way. You never know how one small ‘yes’ can eventually work out for the better, even more so than you ever imagined possible. Think something is a little too risky, but don’t want to miss out on the investment opportunity of a lifetime? Consult this checklist to help you decide if a business risk is worth taking. The same way people frequently accept jobs they have no interest in completing simply because that job will earn them more money in the long run, many investors are often tempted to invest in things they do not really care for simply because they want to see their income increase. Do not let yourself fall into that trap. You are much better off investing in something that actually matters to you. Don’t just do work you enjoy; also do work that matters. This philosophy also applies to making business investments. Invest in things that you believe are going to make a vast impact on the world. Invest in things that you genuinely care about and want to be a part of in one way or another. Invest in things that will make you feel good, not necessarily just in things that will make you the most money. Compromise. There is a healthy balance in everything, you just need to find it. As you are already well aware, all of us have income and expenses. Ideally the goal when it comes to finances is to increase income, but decreasing spending while increasing the amount of money you earn is one way daring to invest can actually come to work out in your favor. You cannot properly invest in anything without keeping track of your money. Cuban recommends keeping and consistently reviewing a budget, annually or even more often than that if you wish, in order to be more aware of what you are spending the most on and identify ways you can save. Learn effective ways to save money on specific things you usually include in your long list of expenses. That way you can turn around and use the money you save to invest in things that will eventually turn into more worth than what you originally started the process with. Knowing how to cut unnecessary costs while making smart moves to increase overall income is every successful investor’s go-to route. Investing is not just something the rich do when they are bored. Anyone can invest their money in stocks or companies, as long as they are smart and strategic about it. The best way to get started is to start with a guide like this and learn how to begin investing even when you do not have much money to spare. 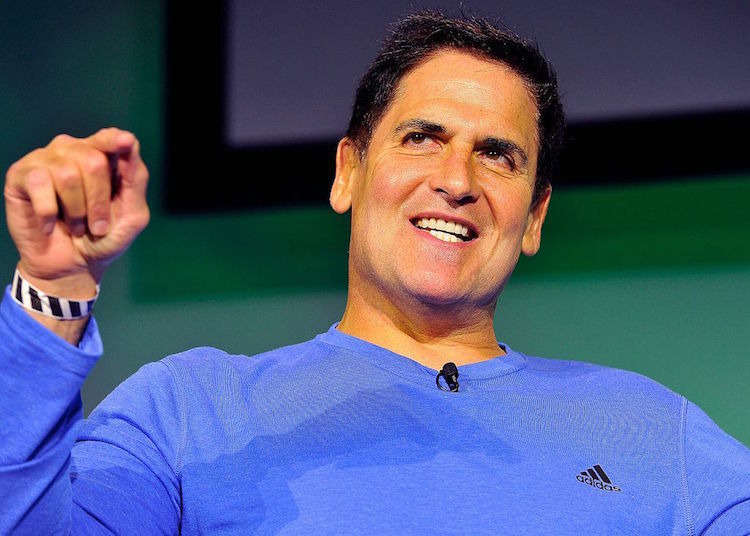 Follow Mark Cuban’s advice: his success in investing proves anyone can make it work for them.